HERON 506 offers wonderful views of the bay and lazy river! 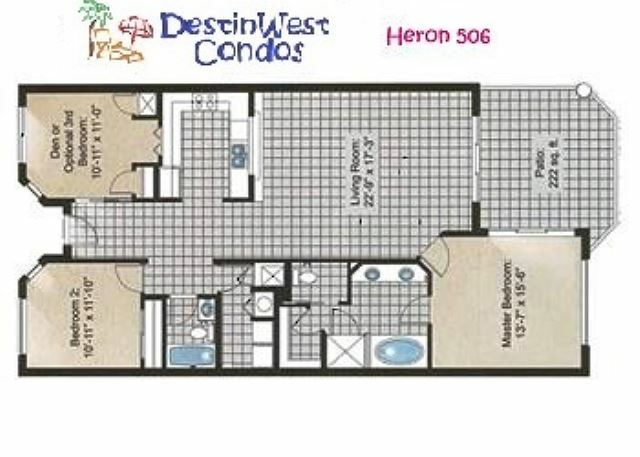 This luxurious condo has 3 bedrooms, 2 bath, with almost 1600 sq. ft. living and over 400 sq. ft. of patio space. The spacious living room has plenty of seating and all the comforts of home including a sleeper sofa and a large flat screen TV. A sliding glass door lets lots of sunlight in and opens to the balcony where you can relax enjoying all the sounds of summer while watching the palms sway in the breeze. This modern kitchen features all stainless steal appliances and offers everything needed to make a delicious home cooked meal, including coffee pot, blender, toaster oven, crock pot, etc. The lovely granite counter tops and bar provide lots of space to prepare dinner, and serve. The large dining table seats 6 and is the perfect space to enjoy playing board games with the family, as well as dine. The elegant Master Bedroom has a King platform bed, triple dresser and large flat screen TV. This bedroom offers a private bathroom with a Jacuzzi jetted tub, separate shower and two sink vanity. It also features a sliding glass door that provides guests in this room their own access to the balcony overlooking the tropical scenery. The second beautiful bedroom gives one a sense of serenity with its aquatic hues and holds a King Bed, along with a double dresser and a flat screen TV, while the third bedroom with its whimsical flair offers a bunk bed with full on bottom, twin on top, a twin trundle and a chest of drawers with yet another flat screen TV. All bed covers are new and top of the line. Free High Speed Internet with Wifi for your laptops, ipod, ipads, etc. This is a sophisticated Condo with a nod to the French Quarter and it will quickly become your favorite seaside getaway! This condo has Saturday to Saturday stay requirements during Peak Seasons. If you are needing a shorter stay, please send inquiry for availability. First of all, let me say that I'd actually consider buying one of these units as a place to come annually and rent it out throughout the season. What a beautiful part of the country! The beaches are pristine, the owner of this unit was such a delight to deal with. There is no check in or check out, just plug in your code and you're in! The lazy river is the icing on the cake. If there's a question on what to do, don't stress, just go float in the lazy river! If I can offer some constructive criticism, which is very minimal, this unit had some remote control issues. There's at least 2 remotes missing, so I'd suggest buying new ones to go with each TV and then labeling them. I'd also recommend having some movies stocked in the unit, as there are DVD players in the house. It would have been nice to go to a selection of movies and pick one to watch. Other than this, I've got nothing negative to say. 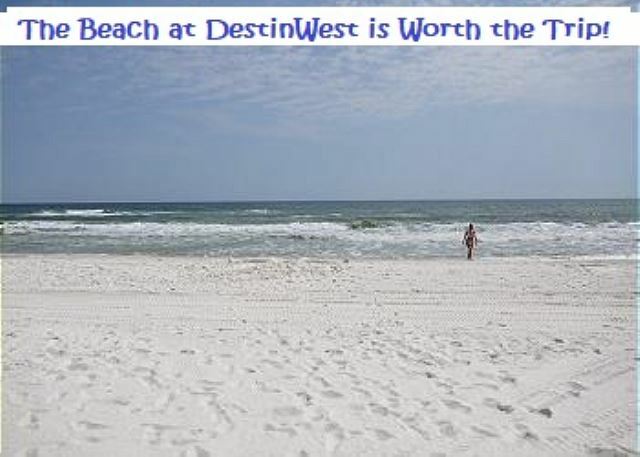 Destin West is a must visit and a wonderful, stress-free vacation! We will be back! Dear Mr. Rhodes, Thank you so much for taking the time to leave us this amazing review! 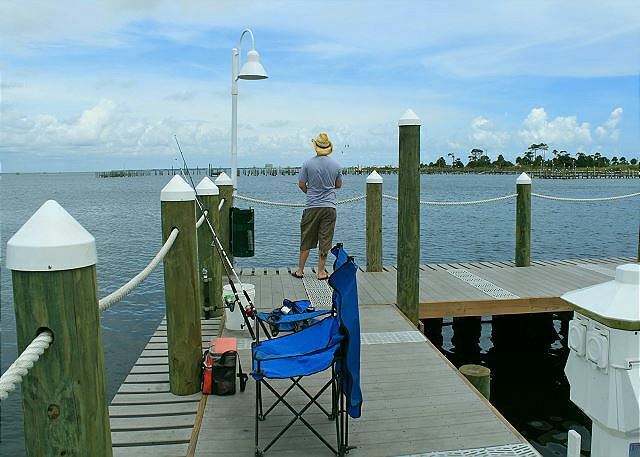 We do our best to offer top of the line services and are pleased you enjoyed your vacation! We love hearing from our guests and always take your comments to heart! We'll be ready to help you book your next trip whenever you're ready to come back! 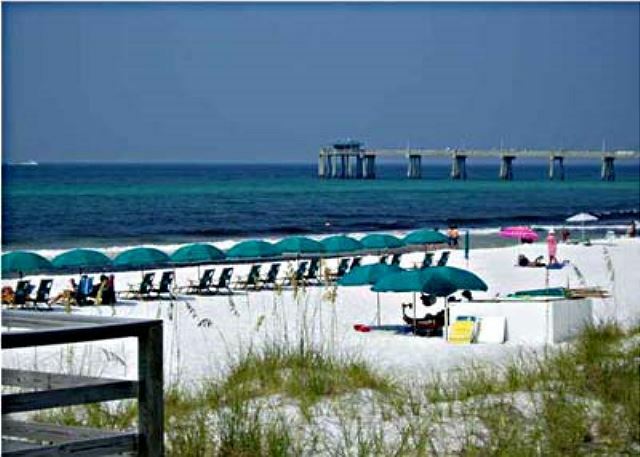 Best spot for a beach vacation! We had an amazing time...and loved staying on the Bayside is the resort. It was an easy walk over to the beach. The condo was very nice and comfortable for our 2 families with young kids. We will definitely be back! Dear Mr. Jones, I'm so glad you enjoyed your time with us! We love hearing about families coming together! We'll be looking forward to your next trip! Great Clean Place. Would go back! Assie, you were great also. We really appreciate the review and your choosing to stay with us for your vacation. We look forward to your staying with us again. 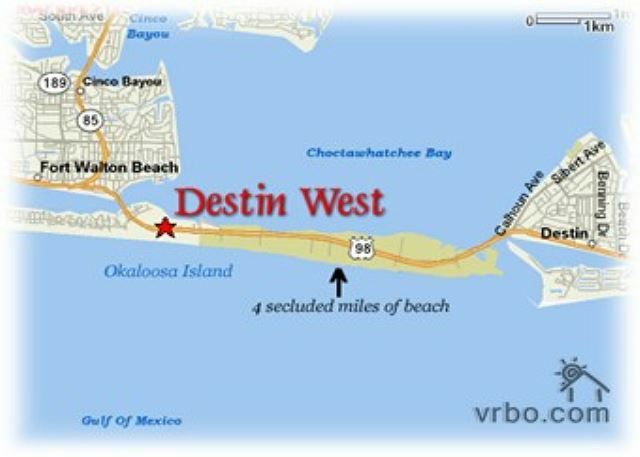 We had a great time staying at Destin West. 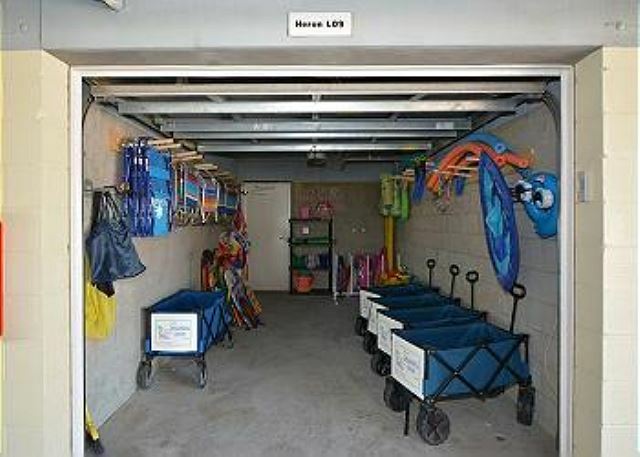 The walk to the beach was not bad and having the carts to use was helpful. We were able to watch the dolphin swimming in the bay from our deck. THe only issue we had was the pool filter is a little load but still had a great time. We enjoyed our family vacation, the condo was very nice and well decorated . The only issue we had was the TV in the small bedroom hadn't been set up on the cable co so we couldn't get it to work. The condo had everything you would need if you want to cook or meal . They even got us a highchair and pack-in-play for my grandbaby.